A welcoming and informal co-working space in the heart of Stoke Newington Church Street. Set on the Lower Ground Floor of The Last Crumb Café, we offer a dynamic working environment designed to support people from a large variety of professions and walks of life. A space where people can come together to inspire and collaborate or simply a peaceful space to get your head down and get some work done! With fast, dedicated fibre wifi, meeting room, conference facilities, printing, lifestyle events and our special ‘WORK Surgery’ which offers our members free monthly advice with help on Accountancy to Fitness and Nutrition. The Crumb@Work is an extension of The Last Crumb Café and works very much hand in hand - offering hungry workers a delicious menu to refuel. With an all-day brunch menu and in-house bakery, you’ll never go hungry. Alongside the food we offer coffee from our friends at the amazing Roasting Shed in Hackney Wick - a small batch roastery whose concept is simple - uncompromising quality. Tea is from Primrose Hill Teas and Good & Proper, both local, independent blenders who are passionate brewers, curators and blenders of the finest loose leaf tea… they are putting tea back on the mean streets of London and beyond. Meeting room, (limited use included in the membership packages - other times charged at an hourly rate). All the tea/filter coffee you need to get through the day & complimentary pastries from our in-house bakery - you can’t work on an empty stomach! For more information please contact Paula on 0207 249 1551 or fill in the form below and we will be in touch. 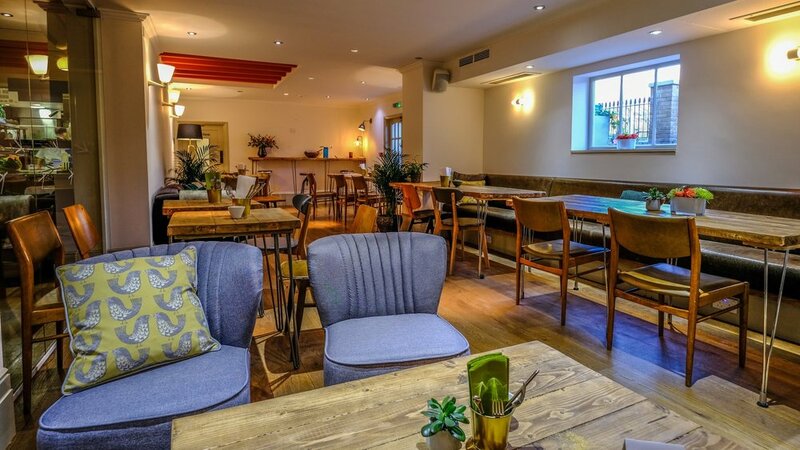 Looking for a London meeting venue,away from the hustle and bustle of central London but near enough for everyone to get to? You're in luck! This great 6/8 people space is ideal for interviews, off-site brainstorming or meetings with clients is perfectly located in our workspace set in the lower ground floor of the Last Crumb Cafe. Equipped with a 47" screen, dedicated high fibre WiFi, whiteboard, printer and The Roasting Shed filter coffee - it has everything you need. We have waiting staff who can look after you - keeping you refreshed and happy, even helping with your printing if needed.